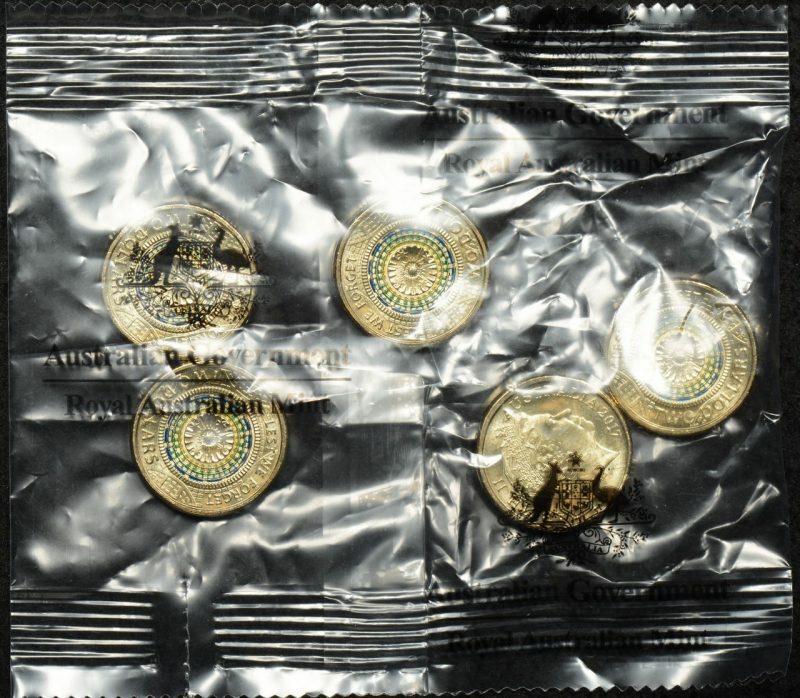 Royal Australian Mint 5 coin bag. Face value $10. 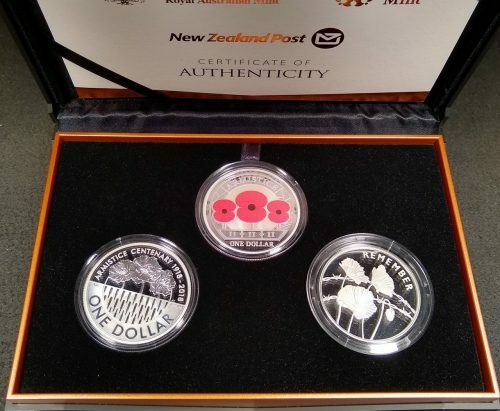 Lest We Forget commemorative $2 uncirculated coins x 5 issued for ANZAC Day 2017 these coins feature a multicoloured depiction of the mosaic from inside the dome of the Australian War Memorial’s Hall of Memory.